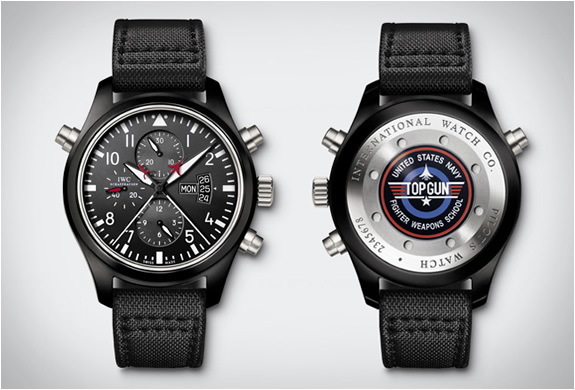 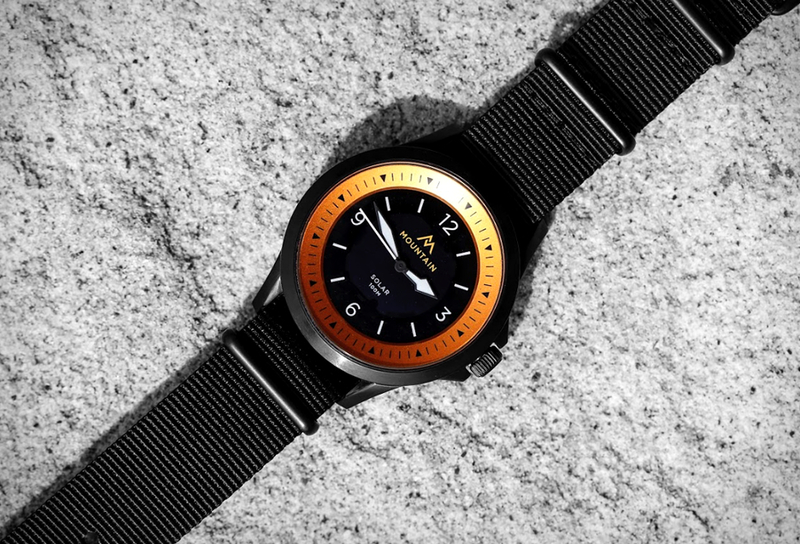 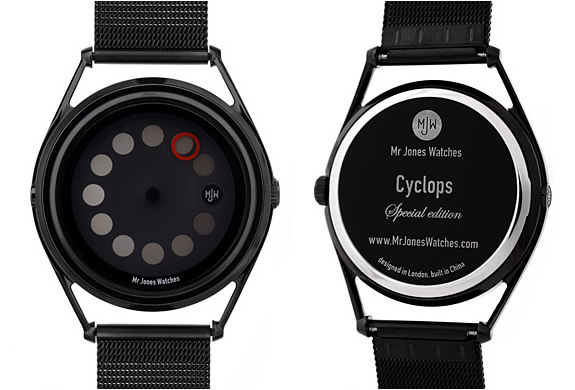 Cyclops watches by Mr Jones Watches dispense with a conventional arrangement of hour, minute and second hands. 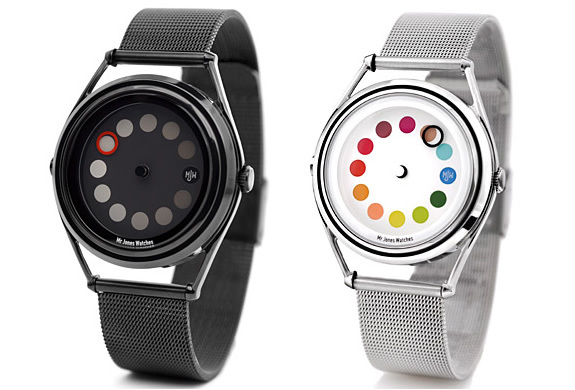 Instead a single hour marker passes around the dotted dial. 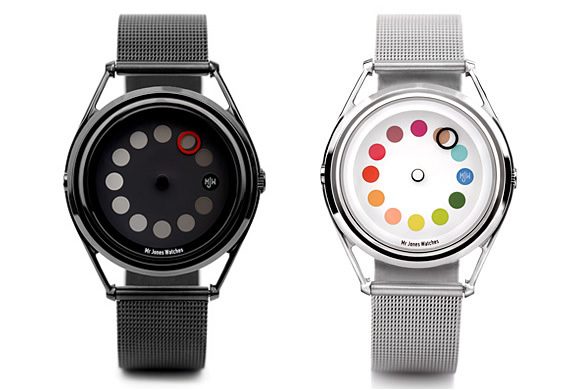 Each hour is represented by a different circle, the hoop gradually passes over each circle to indicate the time. 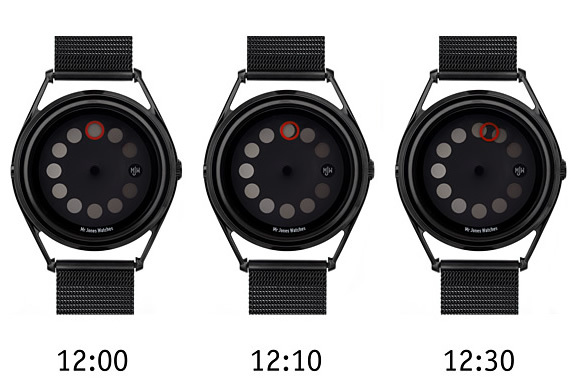 The hoop eclipses and releases each circle in turn to indicate the time. 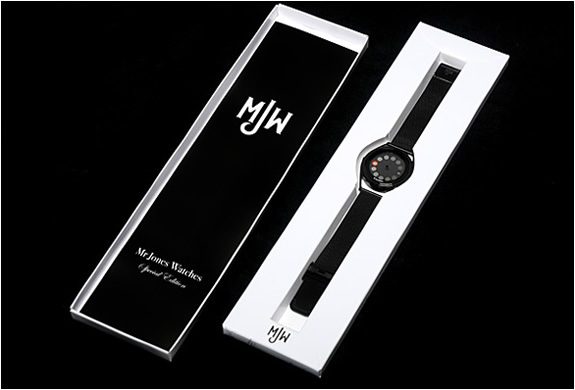 Each watch comes in a MJW presentation box with a specially commissioned artwork by Debbie Smyth.